International Couriers and Logistics experts. Offices world-wide. Overnight, time critical, warehouse distribution and hand carry are our specialty. In this corporate blog you will find corporate info, general interest and tips on logistics & business. On Friday we looked at the different types of selling jobs and today, we shall be going through each one in greater detail. Order takers include three different types of jobs. There are the inside and the outside order takers as well as the delivery sales people. Inside order takers are responsible for taking the money when a customer has already made their decision to buy and act to make their order. They take the order in person or over the phone and take the money. The outside order takers are the sales people who visit the customers as a response to the request of the customer. Finally the delivery sales people are tasked with delivering the product. They may be given the task of increasing orders and need to respond to the changes of the order size as decided on by the customer. The order creators are the missionary sales people. 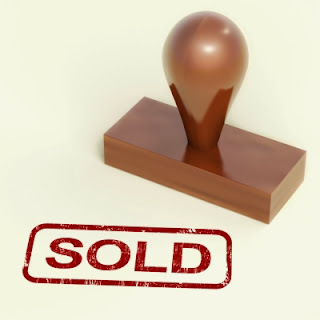 Often their role is not to simply close the sale, but to help persuade the customer to a seller of a product. They have a responsibility to build trust and confidence in the customer, educating by offering advice and information. Order getters have one main objective which is to persuade the customers to make a direct purchase. They work on the front lines and have a difficult job which requires different skills such as the ability to spot new prospects, persuasion and negotiation and wining new business against stiff competition. The order takers include technical supports sellers. They are often called upon when the front line sales team doesn’t have the technical information that the customer is after. They provide specialist information and are used in selling as and when required. The merchandisers are the ones that give support in retail and whole sale selling. The orders that are being placed can be discussed at the head office but the sales can also be created by merchandisers who can offer advice on the promotions, displays and stock levels. 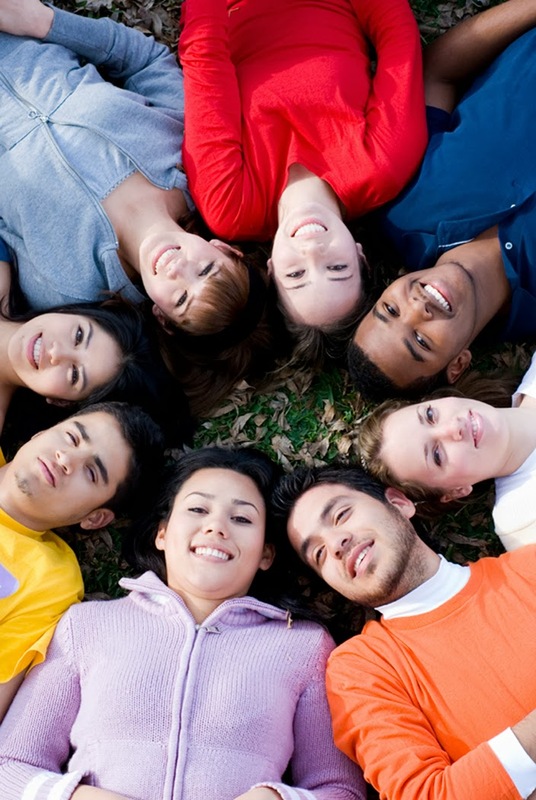 assist suppliers in developing their skills and competencies. distribute leadership responsibilities with necessary authority, training and resources. Order takers are the ones that are there to respond to the customers who already have their purchase decisions and are committed to buying. Order creators do not close the sales but to persuade existing customer to specify the seller’s product. Order getters are front line sales people who try to persuade the customers to place their orders directly. Return tomorrow when we’ll be discussion each of the selling jobs in more detail. Selling overseas has many benefits for individual companies. One of the benefits is that the economy as a whole depends on international sales, but there are other benefits that also have a direct impact. Trade can benefit when the country is unable to produce a certain product within their own country due to patents, laws or production limitations and lack of necessary resources. Companies can also benefit from trading internationally due to the differences in competitive costs by exporting products with low production costs and importing products with higher production costs. Product differentiation is another way companies benefit. This may refers to the design, quality poor the perceived image of the product by the customer. These are three of the main economic benefits that are found in international trade. Come back for more details tomorrow. Helping customer make purchase decisions that they will be satisfied with. The sales person needs to understand and acknowledge the position of the customer and agree with their perception. From there it’s necessary to support the customer and make them feel at ease. 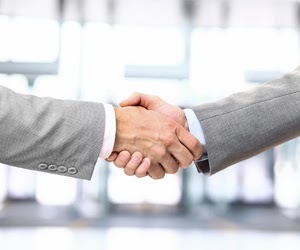 Using expertise in their field the sales team will be able to provide solutions that work, helping them to secure sales of the products or services. One of the most effective training methods commonly used by companies to teach personal selling is through role playing. The practical experience gain both in role playing and on the floor can help a sales develop their skills through thorough observation and examination of their sales techniques. Adaptive selling is a popular technique that’s the Sales used to adapt and customize their sales approach according to the needs of their customers. In the real world most products will not be able to beat the competition in all areas; therefore, it’s necessary for the sales team to address the key product benefits and special product features to its user. This means that the sales person need to focus on customer oriented selling techniques and adapt the roles of both identifier and problem solver in their sales approach in order to achieve long term customer’s satisfaction and retention. Create illusionary composition with the use of abstract art and geometric forms. Relate to your customers by incorporating realistic, everyday characters/personas, situations and events in your visual display. Incorporate innovative, revolutionary, contemporary, futuristic concepts that include technology, speed, youth, or use objects such as airplane, car and industrial city in your displays. Add visual artistic traditions of indigenous people and materials to capture the attention of native communities and those who are interested in indigenous culture. Feature colourful pop art and vintage art style into your visual display by incorporating street culture, comic books, collage, graffiti and photo montage. Generate an element of surprises and fantasy by making use of Collage, Cubomania, Decalcomania, Eclaboussure, Frottage, Fumage and Grattage technique in your visual displays. The Mid-Autumn Festival is a famous and important festival around the East Asian countries, the festival was held on the 15th of the eighth month of the Chinese calendar, during a full moon. 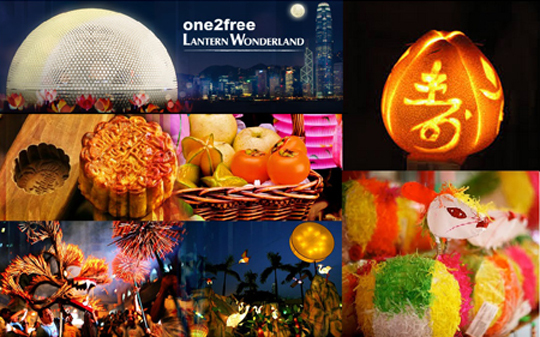 During the festival, people will eat moon cakes and fruits from the seasons such as Pomelo and turns its to a lantern with its skin. At night, the whole family will go out after dinner and appreciate the fullness of moon, while kids will be holding lanterns. This year to continue the Hong Kong festive spirit, designers has brought the moon ‘down to earth’ with a giant eco-light display in the one2free Lantern Wonderland at Victoria Park and the traditional fire and fury dragon march will be continued roars its way onto the streets in Tai Hung from 18th -20th September. If you are happen to be in Hong Kong during these days, don’t miss your chance of visiting and participate these exciting events! 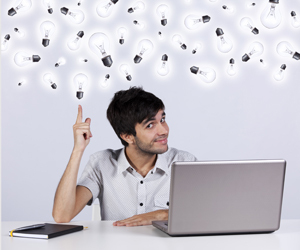 How effective is your merchandising plan? Are you getting the right product, in the right quantity, at the right place and time? If not, here are some tips for you to consider. The amount you spend now and in the future is critical so your overall budget should include both immediate and future merchandise cost. Develop a proper product plan by establishing your product categories. This will help build up your credibility. Be on top of the latest market trends and develop a wide product range to suit your market needs. Explore private label products and packaging opportunities to provide your company with a competitive edge. The profitability of your store depends on your product mark-up and markdown strategy so maximize your product potential by being in tune with your market and by understanding your customer behaviour. Take countermeasure in reducing inventory shortage by taking proper inventory shortage control planning. Stock quality items. You will have a lot of choice when it comes to buying your merchandise. Your choices will reflect on the quality of your business and service. Buy the best and show your customers that they can trust you and your products. Stock in smaller quantity. When you buy less you will be able to spot good sellers and make changes quickly in line with customer behaviours. Having fewer products available shoppers feel they need to buy quickly or run the risk of losing out if they ponder their purchase for too long. Stock frequently. You can reduce your stock becoming boring and sale to those who frequently return to your store looking for new purchases. Displaying less is more. 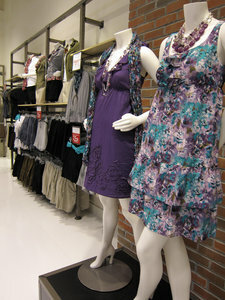 Allowing enough display spacing to your products will let them stand out and speak for themselves. Stock removal. If you have stock that will not move regardless of all your efforts then cut your losses by removing it. The poor value stock will only bring down the rest of your stock. You could swap the stock with other retailers or sell it through other areas to try and claw back your investment. 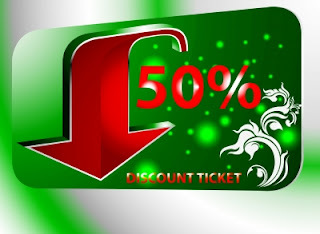 Try to avoid promotional discounts. You may find it brings in money in the short term but in the long run it only serves to devalue your business. Your customers will know that if they don’t buy your new stock at full price they can wait for your next sale and grab a bargain. Use these tips to improve the flow of your inventory for the good of your business. That way you can become a great success story. Clearance season follows after every peak selling season so you want to minimize your markdown to make as much profit as possible. By running your business more efficiently, it will ensure you obtain as much money as possible from every sale, and here’s how you can achieve this. Sales planning are essential. 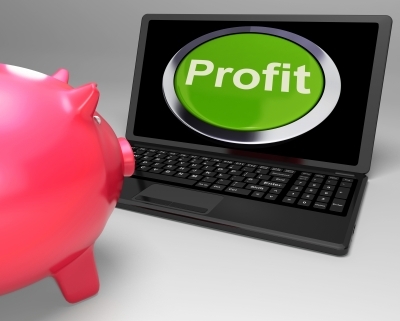 Look at each of your departments each month and make projects for your unit sales and profits. Use this information to establish when you need to buy and help reduce over buying products that simply are not good sellers. Forecast to see how much you need to buy before and during the season. 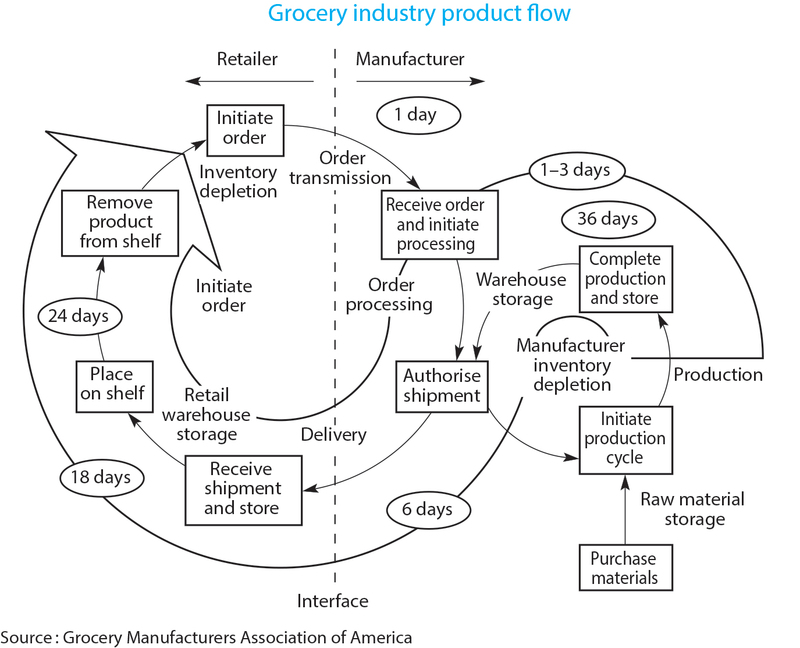 Improve your inventory flow. It is always risky when buying merchandising, you may have brought too much or too little and what you buy may not always be what the customer wants. If you ship your inventory as close to the time of the sales as possible, you can reduce this risk. Use your inventory levels to drive merchandising. Respond to sales trends and keep your stock current and refreshed so your customers keep returning to find more. Keeping some funds in reserve will ensure that you aren’t caught short during the season. Don’t put all of your cash into your merchandising at the start of the season as you may need to react to the shoppers’ trends during the mid-season. Do you really need to do one last buy? Sometimes retailers will make one last purchase only to find most of the stock ends up in the clearance section. 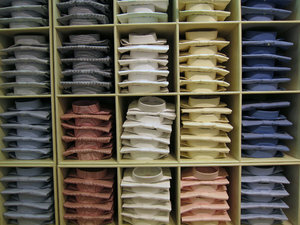 Ask yourself if it is more effective to hold off the last buy and reduce the risk of having excessive clearance stock. If you have lagging stock, have your mark down earlier before clearance season. Spot the slow movers and encourage sales by reducing the price by 10, 20 or even 30%. You may be able to move more of them at a more profitable markdown then waiting for the clearance season to mark them down in half. Test, test, test. Always test your new lines before you commit to large quantities. Assess the risks and then use your figures and inventory to pick the winners and abandon the losers. Holiday sales are set to recover slightly this year which is great news for retailers. Black Friday is considered to be the time when holiday shopping picks up, but in fact the shopping season starts before this date. Many begin shopping in November and therefore it’s essential to have your shop and website ready for this buying activity. Shoppers are going to demand more from you this year. They want to receive their goods at a great price and have it delivered quickly. Delivery must be on time and offer excellent value for money. One way you can meet all the expectations of our shoppers is by using holiday gift guides. Offer free shipping. It could be free shipping if your customers spend over a certain amount or free shipping for everyone. Provide additional value through holiday specific services such as gift wrapping and wish lists. Offer a selection of gifts for everyone. Offer a selection of gifts for all budgets. Focus on the key items of the season, easy sellers that will fly out of your stock room. Offer free gifts to entice sales! Offer deals such as buy two get one free and drive up your sales. Create gift cards – perfect for last minute shoppers. Personalise gifts to create memorable gifts. You still have enough time to work on your gift guide. Now is the time to get working and create an effective guide that will increase your sales this holiday. Identify your inventory targets for the end of December by department and category. Your aim is to end the month without too much inventory left and so you have met and beat your December sales targets. You must establish this benchmark first so you know what your goals are. Decide if you are on track of having too much inventory or too little. Base this calculation on how much inventory you have currently and any deliveries that are due and compare them to the estimated sales and demand for your products. If you come in heavy or light you will need to come up with solutions to correct the problem. Only buy one inventory if you know it will definitely sell. Buy only the best items from your best categories. You don’t want to be left with a full inventory after the holiday has come to an end. Discover what items are slow movers and start promoting them early on during the holiday season. You could offer a great discount while the traffic is at its highest to help encourage sales. By offering them now before you post-holiday sales they are not going to be competing with your other slow movers once the holidays are over. Expedite now. You are heading towards the end of the year and you don’t want to worry about late deliveries or back orders. Place your orders and stay in constant contact with your vendors if you made any late orders. You want your orders to arrive on time or you don’t want them at all! The last week before the holidays is when shoppers are usually in frenzy. They buy what they can and not always what they wanted as choice becomes limited and time is running out. You can take advantage of this time by breaking tour presentations early. You cannot expect a successful end of the year unless you put work into your merchandising and promotions. If you want to make great profits and increase your cash flow you will need to be prepared and plan for a successful holiday sales period. Yesterday we looked at the first five tips retailers should use to help them have a successful holiday period. As you know money is tight for most homes right now and therefore shoppers are spending less and expecting their money to go further. You have a huge fight on your hands encouraging holiday shoppers to buy from you. Today we have five more tips you can use to maximize the potential the holiday offers your business. Offer extra value to your customers in the form of additional services. If you have a brick and mortar store you can create a gift wrapping section or provide personal shoppers who can help your customers find the ideal gifts for those difficult recipients. You can provide the same extra value online too. Allow shoppers to shop within their budget or for boys and girls. You can also offer gift wrapping at the checkout. Consider adding some option extras that you wouldn't usually have available such as wrapping paper and gift tags. Have all the information regarding your holiday shipping times, the last day that guarantees delivery before Christmas and consider offering different shipment options such as next day and guaranteed by shipping dates. After the 25th of December has passed you’ll need to begin your liquidation strategy. Encourage your customers to come and redeem their gift cards, make exchanges and start introducing your next seasonal products such as spring lines. Your customers want to pay less and get more for their money. You need to create irresistible offers and promotions that make customers feel they are getting incredible value. 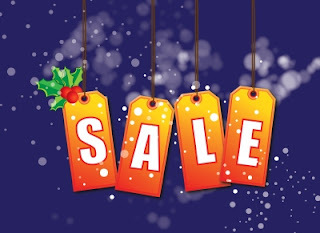 Make sure you incorporate sales and special priced merchandise into your holiday deals. Use social media to help generate an exciting holiday spirit with your customers. Pick up on special dates, your promotions and offers and spread the news far and wide using your social networking profiles. If you work hard to win at the holiday you are far more likely to have a successful year. The holiday season can be the end of businesses that don’t work hard to make the most of this time of year. Not a lot has changed when it comes to the economy. This time last year people had to watch their spending and not much ha s improved. More people are planning to spend less for the holidays and therefore you will need to work harder in order to maximise your holiday sales. 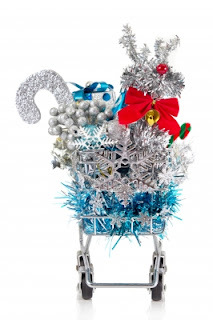 You should begin planning for the holiday season in the first quarter or the second at the latest. However, if you haven’t begun working on your holiday promotions yet or you are a new business we have 10 tips you can use to help you win at the holiday period. Decide when you are going to kick off your holiday promotions. Bear in mind most shoppers will begin their holiday shopping in October. Pick your exact date and start planning your offers and promotions that will continue throughout the season. Prioritise your crucial projects so they are up and running in time for the holiday season. You don’t want to have to worry about work conflicting with major rises in traffic to your website. Organise your promotions and merchandising with personal gift buying coming first and gift buying following up, usually from November and carrying on until December. Gift cards, e-vouchers and e-gift cards are effective, especially with shoppers that leave their buying to the last minute. Sort out your gift card offers and promote them throughout the season. Pay even more attention to your e-gift cards once the guaranteed shipping dates for Christmas have passed. If you have a brick and mortar store you should decorate it accordingly. The same goes for your online store – you should give it a holiday make over which makes people aware of your holiday deals and helps to improve their customer experience. Once the holidays are over your work come to an end. You still need to encourage shoppers to come and buy from you. Remember to invite all your customers to come and find incredible deals and goods using their gift cards and vouchers. You’ll also want to encourage them to come and send the money they were given as gifts from their friends and family. If you except exchanges remind your customers they can come and find different sizes or colours or even exchange their gifts for something that is more suited to their personal tastes. Pay special attention to your customers letting them know that you care about them and the service you’re able to provide them with. Take the time to wish everyone a happy holiday and show that there are real people behind your business, not just a website or a stuffy manager. Make the most of your website, email subscribers and newsletters as well as your social networking business profiles. Add seasonal images and branding and make a big deal of the promotions you’re holding. You can offer special deals to your subscribers and fans as well as holding competitions to help generate some excitement and buzz around your products. As a final note it is important to remember that not everyone celebrates Christmas. Hanukkah falls between December 8-16 and it will never hurt you to include this holiday in your seasonal merchandising promotions. It’s time to start organising your holiday sales. This time of the year is so important for retailers to get right as the total sales during this period can account for 25 -30% of the year’s total sales. If you are hoping for a successful holiday season you will need to be prepared and sort out your merchandising early so it’s optimised in time for November, December and after the holiday sales. During October you will need to encourage self-purchases. This is when the shopper will still be focused on buying items for themselves. They might be planning their outfits or decorating the home in preparation for the holidays. Use this knowledge to begin your holiday promotions and merchandising off with a bang. When November arrives the shopper will be looking at buying some gift items early on. You can tempt the buyer with seasonal offers and provide her with inspiration that will tempt her. Don’t forget that your shopper will still be looking for their own purchases too. By the time December arrives you must be ready for the mad rush. Shoppers will be searching for gifts frantically but they will also be focused on shopping within their own budgets. You have to think about providing offers that your customers can’t resist. Remember that you will have to cater for late shippers. This is when to put more focus on your gift cards and voucher deals. You can send these items electronically so even when shoppers visit after the last shipping date has passed you still have items they can purchase in time for the holiday. Remember if you have a brick and mortar store you can use your website to direct people to your locations so they can purchase the items then and there; perfect if the last guaranteed shipping date has been and gone. Return tomorrow for some more excellent merchandising tips for the holiday season. 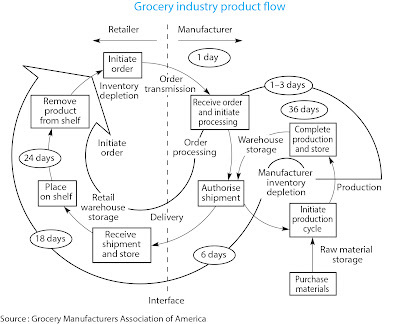 What is the product flow cycle for the Grocery Industry? The sales during the months of November and December play a crucial part for retailers as it dictate their yearly success and account for at least 25% of their annual profit. Low performing season can result in devastation for the entire company. 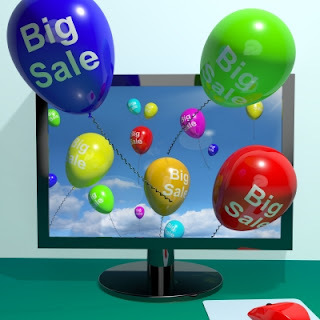 One of the problems faced by online retailers is the fierce competitions and over flooding of special promotions. You will find a lot more companies offering free shipping to sweeten the deal, in efforts to encourage shoppers to buy from them rather than their competitors. There are other promotions ideas that are designed to increase the average order such as buy one gets one free deals and percentages taken off the total amount when your customers reach a certain total. 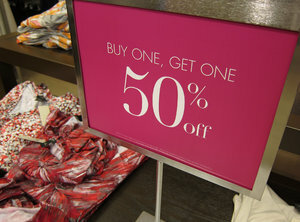 Other post-holiday sales include offering gift cards or reward card with purchases to drive repeated sales. Offers and promotions aren’t enough these days, a well-executed plan will tie in their offer with both social and mobile platform and apps. Reviewing your historical data is the starting point for your demand planning and forecasting. You should look at the sales that have been made and to look at the amount of sales that were lost because the goods were not in stock. You cannot include sales such as closeout sales or special orders as these are out of the ordinary and may not reflect accurately on the demand of your stock. Sales trends can be picked up and unusual situations such as weather conditions can then be taken into account when using the historical data. Understanding these selling characteristics will help you to develop a forecast and show demand. You can work month by month or season by season. When working sales by week or month you should start by studying the most recent months or weeks historical data, whereas seasonal demand forecasts begin right back at the start of the prior year’s sales. Always remember a forecast is not always going to be accurate as it is just a forecast. There will be variances in your forecast but by analysing your data and keeping on top of updating your forecasts it is possible to create more accurate results and minimise the variances. What is the Difference Between OEM, OBM and ODM? Copyright © 2011 Royale International Group. Travel theme. Powered by Blogger.